Budock Cottage is situated in a peaceful location a short drive from South Cornwall's beautiful beaches and the sea faring town of Falmouth. The property is located on a small development of a collection of converted barns with a shared outdoor heated pool and large gardens. 1 Double, 1 bunk room. Set in the peaceful surroundings of the Maen Valley, just a short distance from the superb beaches at Maenporth and Swanpool, this lovely property benefits from brilliant range of facilities, Situated on the Pendra Loweth village estate, there is a bar, restaurant, wifi facilities, splash pool, spa and an all-weather tennis court for the perfect family holiday in Cornwall. All prices and availability are correct at time of writing. 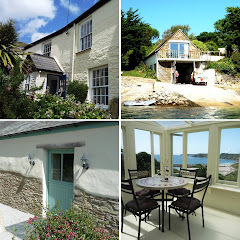 Are you looking for holiday cottages in Cornwall or self catering accommodation in Cornwall? We have over 350 holiday homes across beautiful Cornwall from the idyllic Roseland Peninsula,to the wild & remote Lizard Peninsula, near the amazing Eden Project or within reach of the spectacular North Coast with its sandy beaches & crashing surf. Stay in one of our holiday cottages in Cornwall and sample the delights of this beautiful area. Choose from waterfront homes, barn conversions, country cottages, traditional old cottages and pet friendly accommodation.